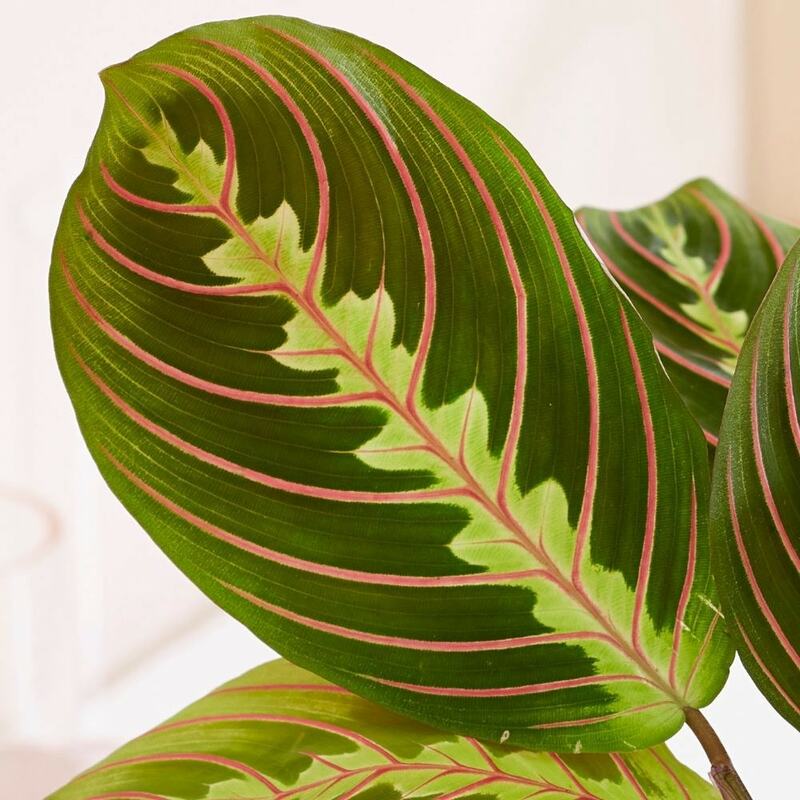 The green leaves of this handsome house plant are threaded with bright red veins, as well as attractively patterned along their midrib with yellow-green splotches. 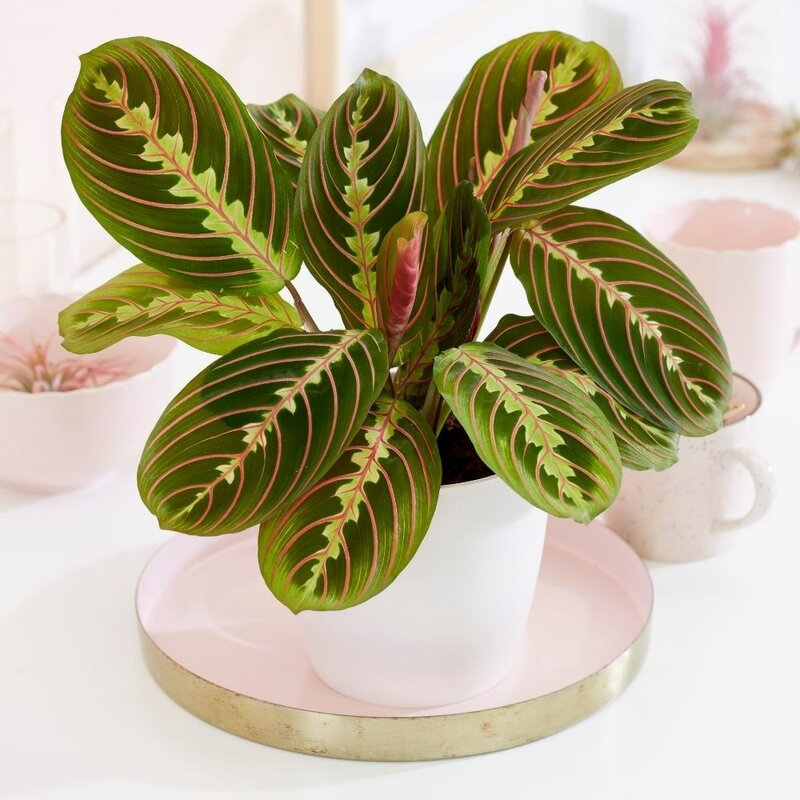 All in all, it's a showy plant, and curious too, as the leaves tend to fold their leaves up at night - which is why they are commonly referred to as prayer plants. Please note that the pot in the photograph is not supplied with the plant (which is sent out in a black plastic pot). They do however make excellent potted plants, and if you wish to pot yours up, we do have a wide range of pots on our website to choose from.